Martin Bliemel is a Lecturer in Innovation and Entrepreneurship, and joined the School of Management (then the School of Strategy and Entrepreneurship) at the Australian School of Business in 2009. From 2010 through 2012, he was also the Director of the Centre for Innovation and Entrepreneurship (CIE). The CIE’s activities include administration of the Diploma in Innovation Management, which Martin revised and got approved by the Academic Board. The Diploma is an inter-faculty undergraduate diploma, unique to UNSW, with an emphasis on experiential learning. 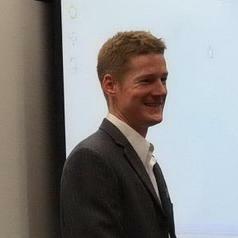 Prior to his PhD he worked as a mechanical engineer in one of Canada's 50 Best Managed companies, completed his MBA at Queen's University, ran a non-profit organization, and started his own business consulting company to help entrepreneurs with market research, financial modelling, business plans and raising capital. For 5 years, he was also a mentor with New Ventures Business Competition (Canada’s largest business plan competition) and a presentation room manager at the Angel Forum (Canada’s oldest angel network).